Ahead of new product launches later this spring, Van Os Medical has launched a new website focused on helping end-users easily find local Van Os dealers, as well as a number of trade-focused features to help its retailer network. 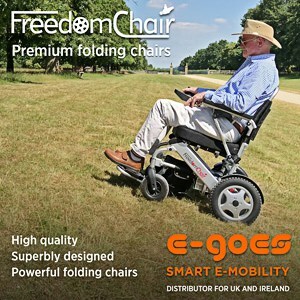 The supplier of a wide range of mobility products, including powerchairs, wheelchairs, mobility scooters, and riser recliners, launched its new website in March, completely overhauling its design and functionality. Discussing the website launch, Sabrina Green, Marketing Manager for Van Os Medical, told THIIS: “With spring around the corner, it was perfect timing to finally launch our new website, especially with a few new products being launched late spring/early summer. The new site includes a dedicated, trade-only area where dealers have the ability to register, login and download exclusive materials, such as product part lists and useful how-to guides and documents. “The website also boasts a dealer map feature, allowing customers to essentially find a dealer nearest to their location,” added Sabrina. Highlighting the decision to invest in its website, Sabrina stressed how essential it is for companies to invest in more than just its products, emphasising the need to ensure digital infrastructures meet modern expectations. “We believe investing in your brand identity’s digital presence is key to extending the life span of your product(s) and increasing your market exposure,” explained Sabrina.